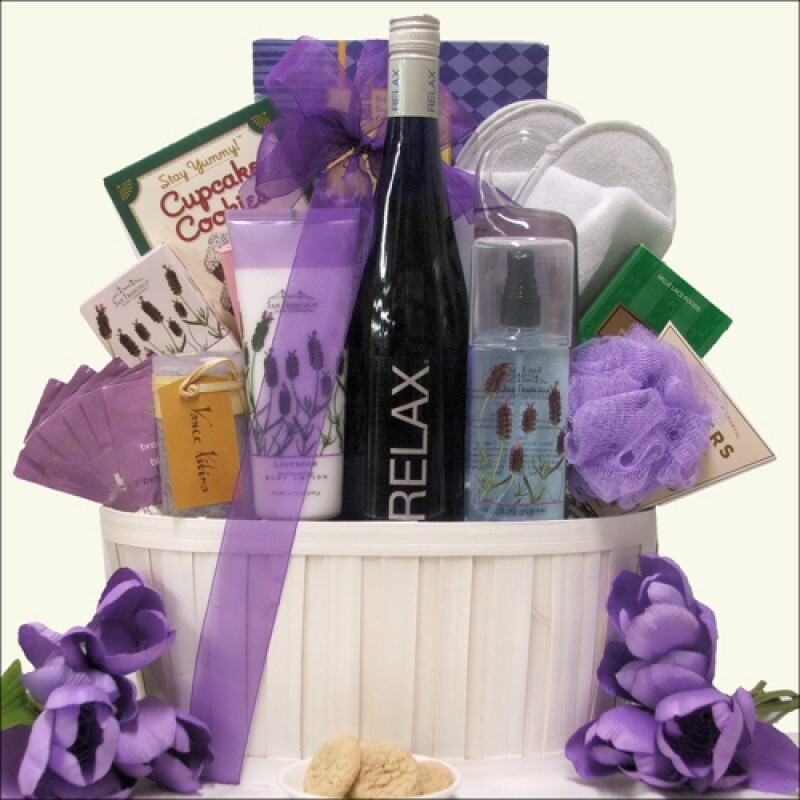 This gorgeous wine and spa gift basket features a bottle of RELAX Mosel Riesling white wine to delight the senses with aromas of fruit and floral notes. It also includes a generous selection of gourmet chocolates and snacks as well as a luxurious array of spa products. Featuring San Francisco Soap Company Lavender scented bath products, Cotton Terry Bath Slippers, 7 Piece Manicure Set in a Travel Case, and delicious sweets including DeGeneve Dark Chocolate Mint Delights, Too Good Gourmet Cinnamon English Tea Cookies, Stash's Breakfast in Paris Black Tea, and more! This assortment of gifts makes the perfect pampering experience for any occasion. ...in an Oval White Painted Wooden Gift Basket.